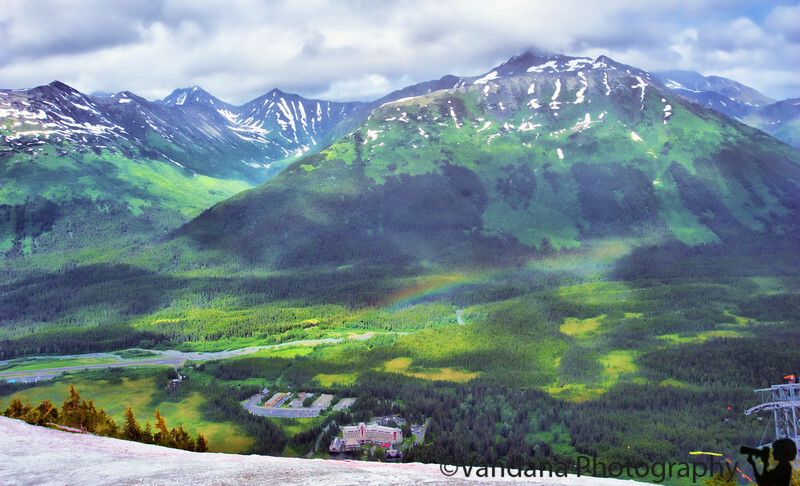 A two week trip to Alaska - Girdwood, Mt. Alyeska, Valdez, Cordova, Homer, Seward, kachemak bay, seldovia, glennallen - travel by road, boats, seeing orcas, bears, glaciers and more. That tiny building right at the bottom center is the Alyeska Hotel & Resort. Spot the makings of a rainbow but it vanishes just as quickly as it appeared.